Whiskeytown is renowned for it excellent single track, flume trails and decomposed granite. All courses make maximum use of single track. Add in a post-race swim in beautiful Whiskeytown Lake and you’ve got the ingredients for a perfect day! Approx. Approx 4780 ft of climbing. More than 65% single track. Approx. 3700 ft of elevation gain. Follows much of the long course, but eliminates the 6 mi. Shasta Mine Trail loop. WARNING: The last 5-7 miles of single track can be very technical/steep in places. NOT FOR RACERS WITH LIMITED EXPERIENCE. 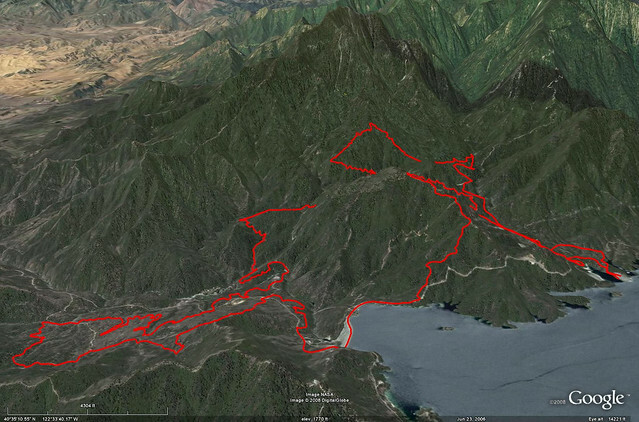 4 mi gentle to moderate ascent on dirt road followed by 4 mile single track descent. Expect numerous technical spots on the descent. WARNING: THIS IS NOT A BEGINNER COURSE; The single track downhill portion of the short course has some very technical sections with drop offs, exposed rocks and rutted trail. NOT FOR RACERS WITH LIMITED EXPERIENCE. Parents of riders under 18 should be aware of dangerous conditions on this course. In order to ensure our volunteers aren’t out on the race course all day long, we have decided it’s only fair to put in a couple of cutoff times for the Long Course. If you miss the First C/O Time, you will still be able to race in the Intermediate Course. If you miss the Second C/O Time, you must exit the course.